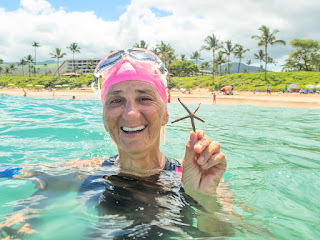 Even though the ocean was less than perfectly clear this morning, the Maui Pink Cap Swimmers still had a fun swim. 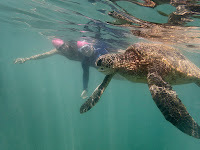 We encountered an abundance of Green Sea Turtles and various kinds of Sea Stars. 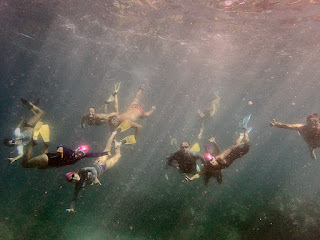 But best of all was the return of deliciously warm sea water. Mmmmmm.